Recently, Prof. Liam Delaney induced an online discussion about “historical works (say pre-1950) that are most worthwhile to read for people interested in contemporary behavioural science and behavioural economics debates”. This reminded me of a time, a bit more than 10 years ago, when I was graduating in Economics and got interested in studying topics on human decision under uncertain and choice over time. I started with contemporaneous readings, for instance David Laibson’s work on time inconsistent decisions, Daniel Kahneman’s Nobel Prize Lecture, Matthew Rabin’s essay on Psychology and Economics and Colin Camerer and George Loewenstein’s draft about the advancements in Behavioural Economics. After having read those insightful pieces, a question came to my mind: when was elaborated the first intellectual description of human decision making under uncertainty? From undergraduate textbooks, I knew that a canonical normative model had been developed in the 1940s by John von Neumann and Oscar Morgenstern’s proposition of expected utility theory, and that modern financial theory had foundations on the Arrow-Pratt measure of risk aversion. But because the concept of utility appeared much earlier in Economic thought, I also wondered about the existence of previous approaches to price bets, insurance premiums, and lotteries. Hopefully, I ended up knowing about two historical works that introduced the fundamental principles of human decisions under uncertainty and which I think are most worthwhile for people interested in behavioural science to at least be aware of their existence: (i) the Principle of Expected Value; and (ii) the Principle of Expected Utility. The former was developed in the middle of the 17th Century by Blaise Pascal (1623-1662), who applied probability theory’s tools to estimate the fair price of bets, and the later was proposed in the beginning of the 18th Century by the prominent mathematician and physicist Daniel Bernoulli (1700-1782) to lotteries with infinite expected payoffs. Despite the ‘mathiness’ that these propositions might suggest, they are responsible for introducing the analysis of subjectivity into the theory of decision making under uncertainty, or in other terms, to allow scientific knowledge to realize that human judgement of chance items is driven not only by pure probabilistic inference but also by personal opinions and feelings. Few decades later, doubts were raised about the adequacy of a simple mathematical expectation as a way to describe human decisions under risk. For example, how could it explain the attitude of traders paying insurance premiums to cover their ships that were apparently higher than the price implied by the expected losses in case of accident or piracy? Thus, the behaviour of a prudent trader would be a clear violation of the expected value’s hypothesis. Daniel Bernoulli’s insight to solve this puzzling fact was to observe that the expected value of a bet is equivalent to its ‘real world’ value if, and only if, we implicitly assume that the subjective value of money – utility – is equal to its objective value. He expressed his idea by making use of a logarithm function, stating that the utility derived from money or wealth is described by a concave function, so as wealth increases, the marginal utility of money decreases. 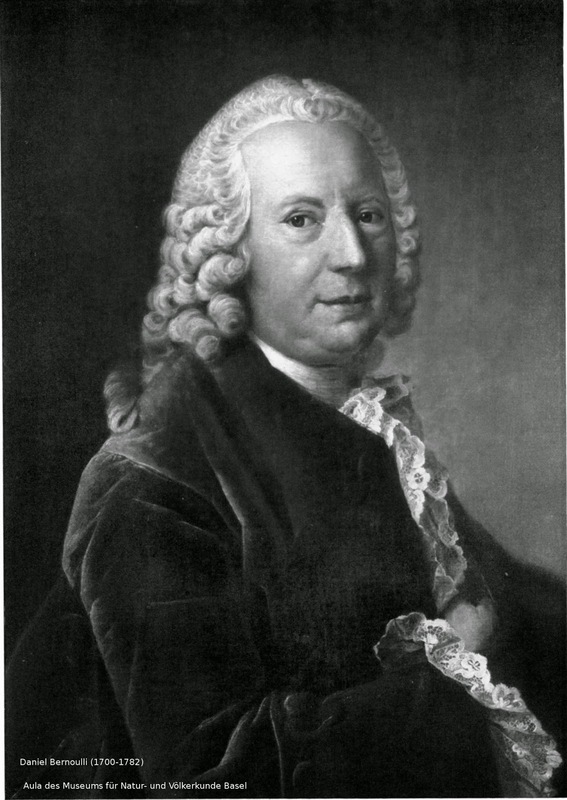 He showed these ideas in his solution to the St. Petersburg Paradox, proposed by his cousin Nicholas Bernoulli. If Peter loses n-1 rounds but wins the nth round, Paul pays him $2n and the bet ends. So according to the expected utility principle, Peter would pay a maximum of $4.00 in order to play the game.